THE HONDA JAZZ IS ONE OF THE CLEVEREST SUPERMINIS AROUND. A THOROUGHLY MODERN DESIGN, IT IS INNOVATIVE WITH ITS USE OF SPACE WITH REMARKABLY GOOD HEAD AND REAR LEG ROOM. ITS WELL EQUIPPED INCLUDING FEATURES SUCH AS AIR CONDITIONING, ELECTRIC WINDOWS, ELECTRIC POWER FOLD MIRRORS AND RADIO/CD WITH AUX WHICH ALLOWS YOU TO CONNECT AN EXTERNAL DEVICE TO PLAY YOUR MUSIC THROUGH. THE JAZZ IS AT ITS BEST IN AND AROUND TOWN WHERE IT IS BOTH FRIENDLY AND FUN TO DRIVE. FRUGAL AND CHARACTERFUL ENGINE, HUGELY VERSATILE INTERIOR SPACE, CHEEP TO RUN AND EXTREMELY RELIABLE THE JAZZ IS AS CLOSE TO THE COMPLETE PACKAGE AS YOU CAN GET. 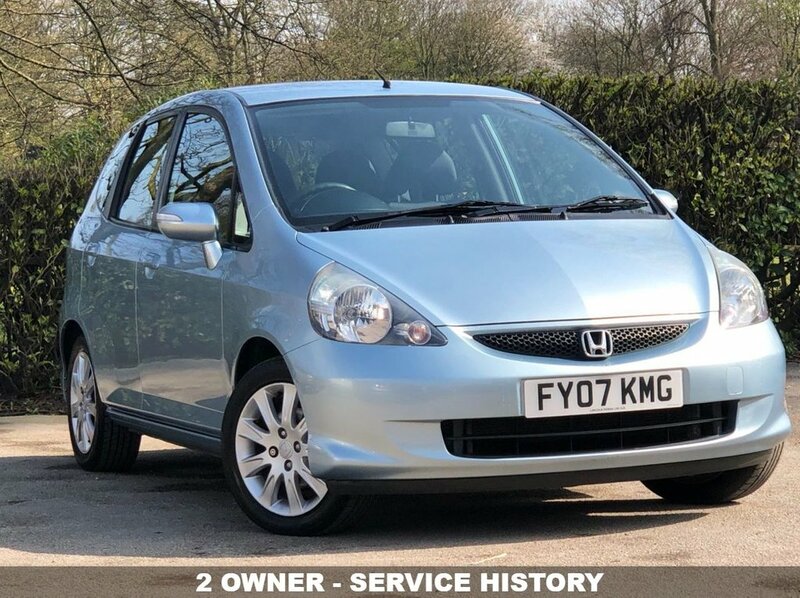 THIS 2 OWNER VEHICLE IS IN GREAT CONDITION INSIDE AND HAS BEEN WELL MAINTAINED WITH SERVICE HISTORY CONSISTING OF 9 SERVICES THE LAST DONE AT 93460 MILES ON THE 19/02/2019 AND THE MOT RUNS UNTIL 01/03/2020. A WARRANTY AND A 1 YEAR AA ROADSIDE ASSISTANCE WILL COME INCLUDED IN THE SCREEN PRICE.